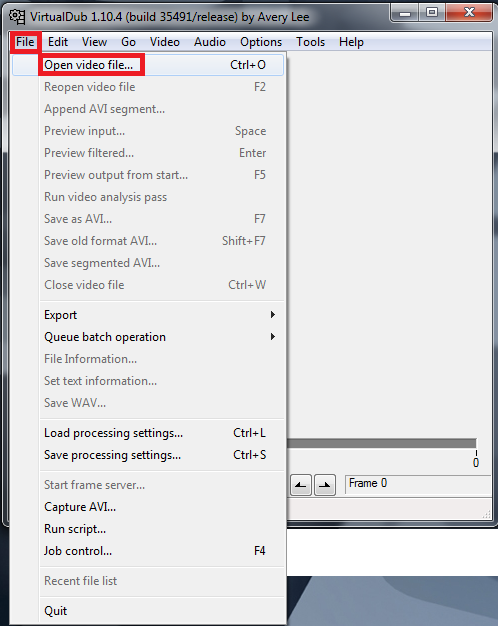 VirtualDub is a free and open-source video capture and video processing utility for Microsoft Windows written by Avery Lee. 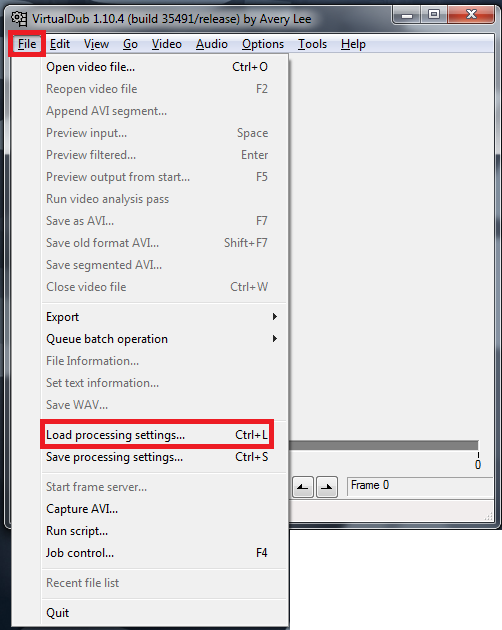 It is designed to process linear video streams, including filtering and recompression. 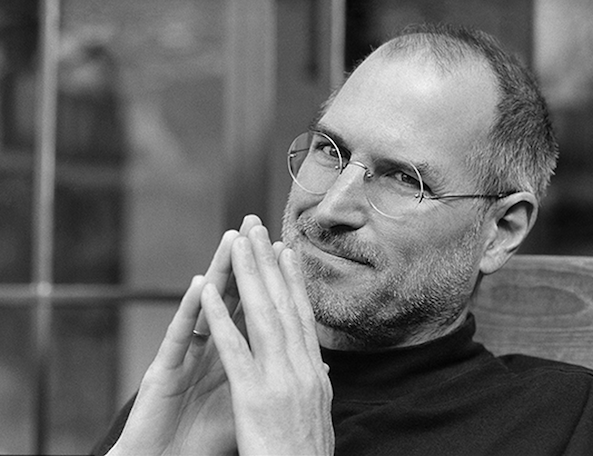 It uses AVI container format to store captured video. 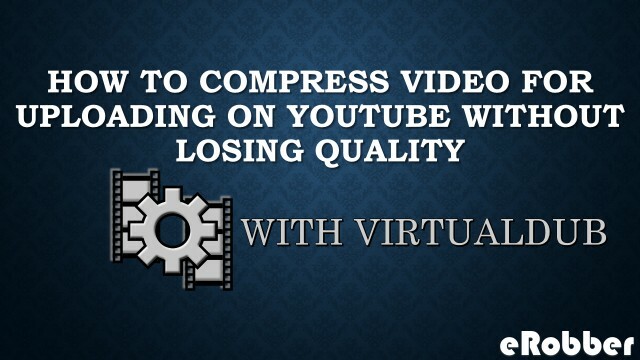 Compress videos without losing quality using virtualdub and very useful in optimizing video quality, fps, bitrate and its very flexible it can cut segments and join then you can do audio compression and syncing it is capable of compressing both video and audio. 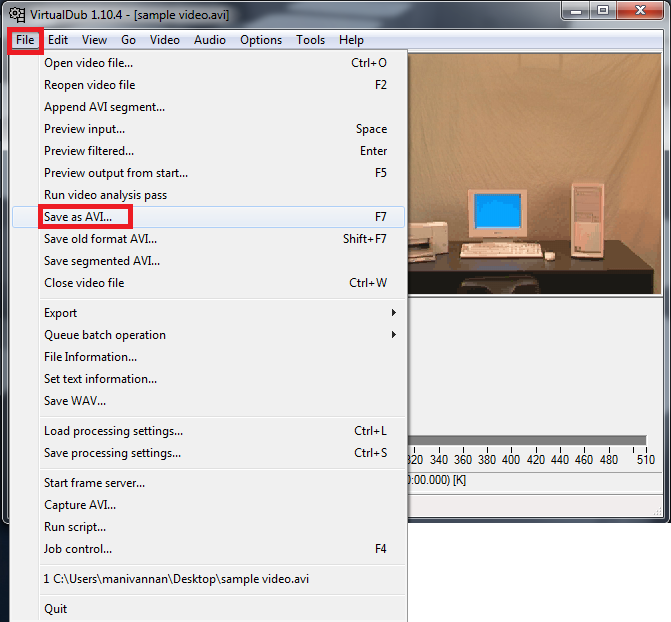 It can handle any format , size and any kind of resolution you can chop fps and you can do much more with it, you will be able to downgrade massive sizes without losing quality then virtualdub is an open source and we can import any codec and filters to render the video its very effective and its in short in size and its a freeware software and its number product in the world. 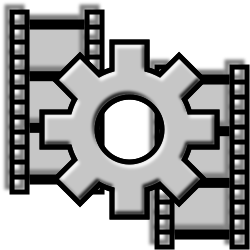 VirualDub is very handy its just 2mb and it is the fastest video compressor we can almost render all the video formats and audio formats and you can also reduce size in video and audio. 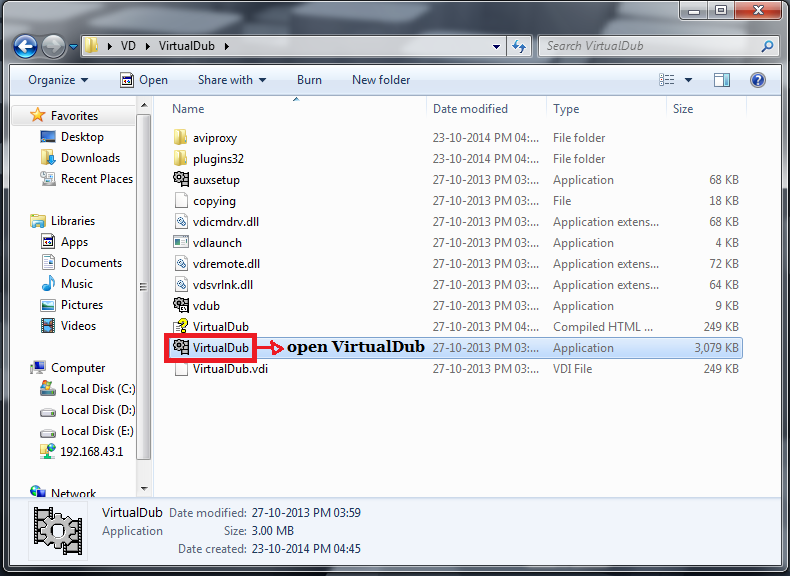 i myself use virtualdub for my video tutorials ! I assume you have downloaded virtualdub so now i will show you how to compress using it ! 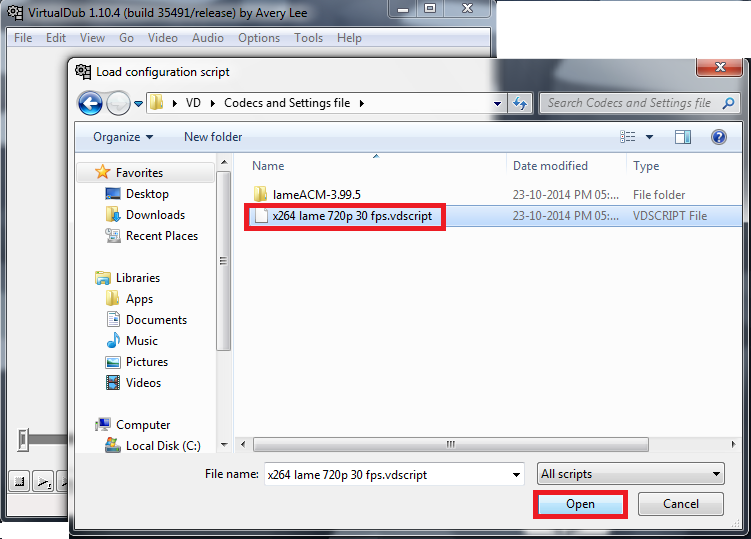 Now you need codec and settings file to compress with virtualdub so download here. 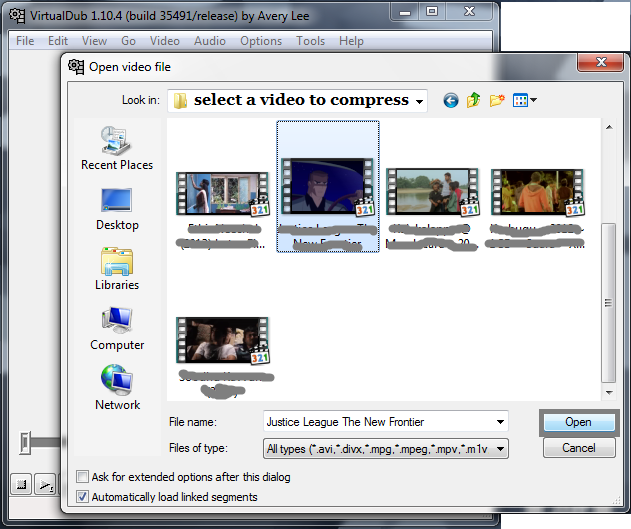 then it will start compressing and it will take some time so close all your background apps and don't interrupt while compressing it and the video compression footage will be laggy while compressing don't worry its not an issue the output of the compressed video will be perfectly fine and this is how i compress videos for my tutorials and upload it on youtube because i capture raw HD videos for my tutorials and i do record some gaming footage and i compress it in this way so it doesn't not lose any any quality i maintain 100% quality by doing this lossless compression method then i have compressed BF4 Footage by VirtualDub then the size was almost downgraded around 85-90% with no loss of quality then i made it as simple and understandable i also uploaded my settings file for you to make it even more simple you don't need to configure anything already configured in x264 lame 720p 30 fps.vdscript and if you have any doubt comment below.